A revolution in ignition technology!! 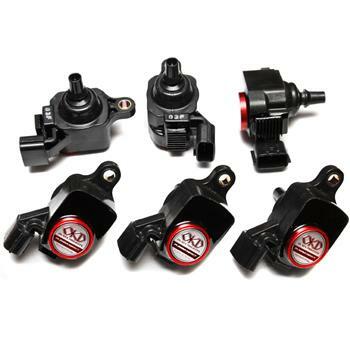 The Plasma Direct is the ignition coil with a high power amplifier built in to it. The Plasma Directs produce 4 times more spark energy than stock coils and also generate an ultra fast multi spark discharge of 10 sparks up to highest RPM. The spark amperage is increased 100%, allowing the spark to reach many more molecules and therefore accelerate the ignition and combustion process. This is extremely important in forced induction applications but also improves the performance of normally aspirated engines. The Plasma Direct will increase horsepower and torque throughout the entire rpm range. This upgrade will also reduce fuel consumption. Even the engines with a legendary smoothness will be further refined with the Plasma Direct upgrade. Our Plasma Directs are OBD II compliant. Installation is easy. Direct bolt-in to the engine, no splicing or cutting into stock wiring, simply replace the stock coils with our Plasma Direct Coils and ready to go! Plasma Direct is made to a specific application. Please check Application chart to find the correct model for your car.